Audi stopped to offer the RS4 in US after the 2008 model year, when the new B8 generation A4 was replacing the B7 generation. 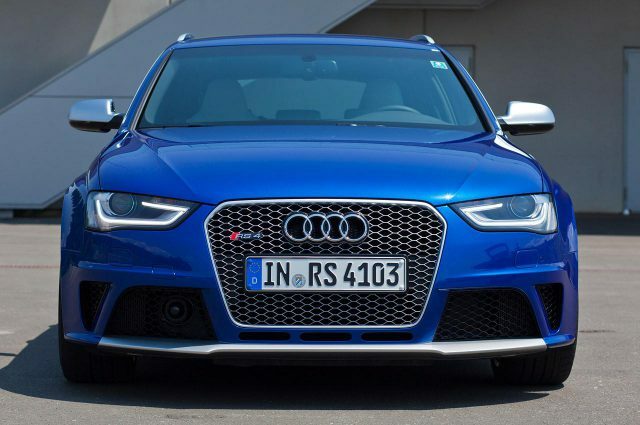 As the upcoming B9 A4 is going to occupy US Audi dealership’s showroom, today also comes the news that upper management of the German auto maker has also decided to bring the B9 RS4 back to the USA. The all-new RS4 will be offered in both the sedan and wagon version (in European market’s language, they are called RS4 Saloon and Avant, respectively). Audi has not confirmed details of the powertrain. However insider information indicates an new-designed 3.0L turbocharged V6 engine will power the BMW M3/Mercedes-AMG C63 fighter. Audi’s new electric turbocharger technology will also come into play in this new engine, and the whole package will produce around 480hp. 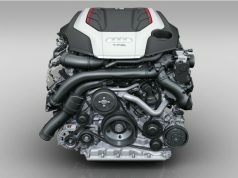 Audi will debut the new RS4 next year, but we can take a peek at the new 3.0L turbo V6 through the 2017 S4, which will be announced in the upcoming 2015 Frankfurt Motor Show.